I’ve amassed a lot of loose surface mount parts and it finally came time to do something about organizing them – digging through piles of little plastic bags in a box gets real old real fast. I considered buying something like Adafruit’s SMD parts kit and just stuffing my extra parts in the corresponding slots, but I don’t currently have a pressing need for all the parts, and I came up with something a little cheaper. 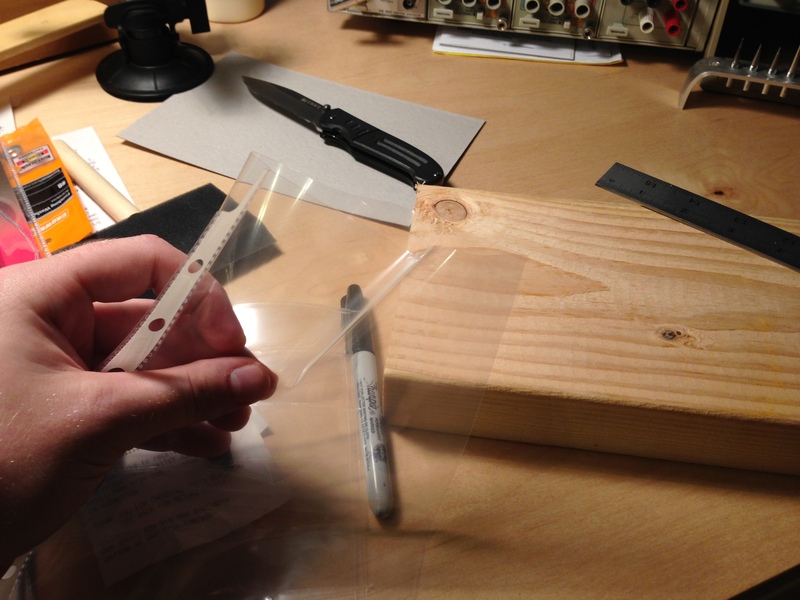 Perhaps more interesting, I’ve got a nice recipe for heat sealing plastic (like anti-static bags) with your soldering iron without messing it up. The process I used is relatively simple. 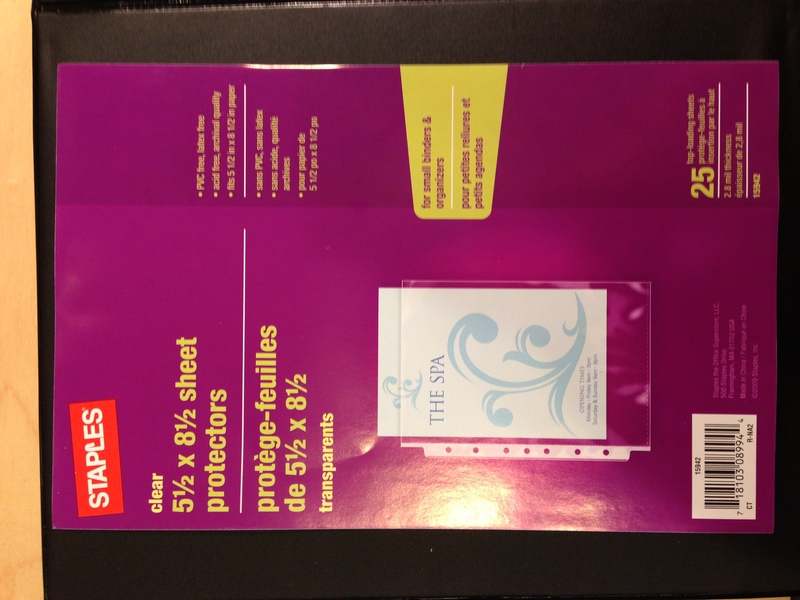 I bought some 5.5×8.5″ page protectors and a corresponding binder, all for about $10. I slipped the cardboard piece that came in the package INSIDE one of the sheet protectors, jammed up to the edge. I used a knife to cut a slit down the edge from not-quite-the-top to not-quite-the-bottom. 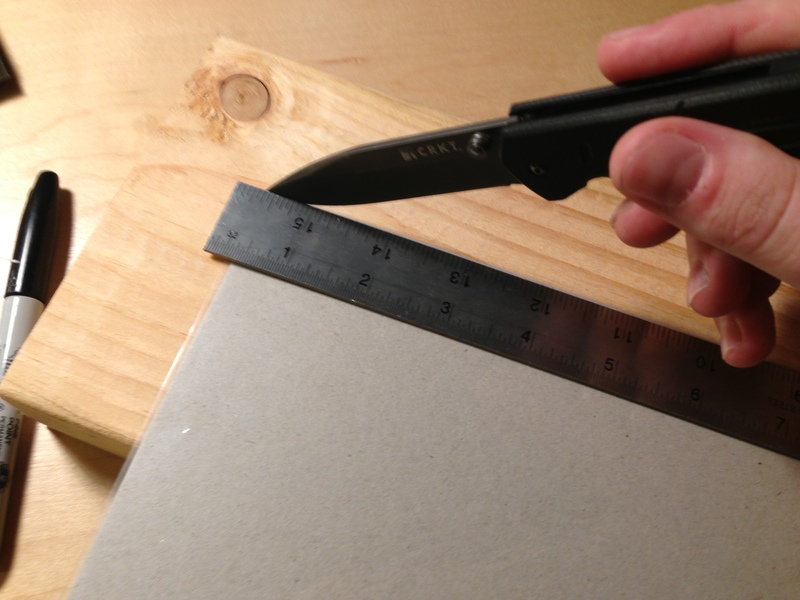 I didn’t cut all the way so that the front sheet would be held mostly against the bottom during heat sealing. 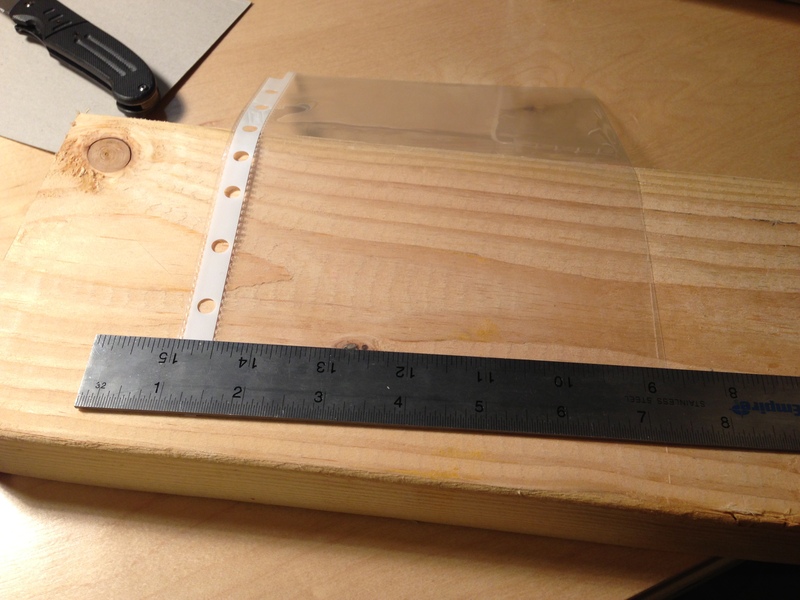 Next, I put the sheet against a piece of wood and drew parallel lines on the top sheet with my soldering iron to heat-seal the top sheet to the bottom. 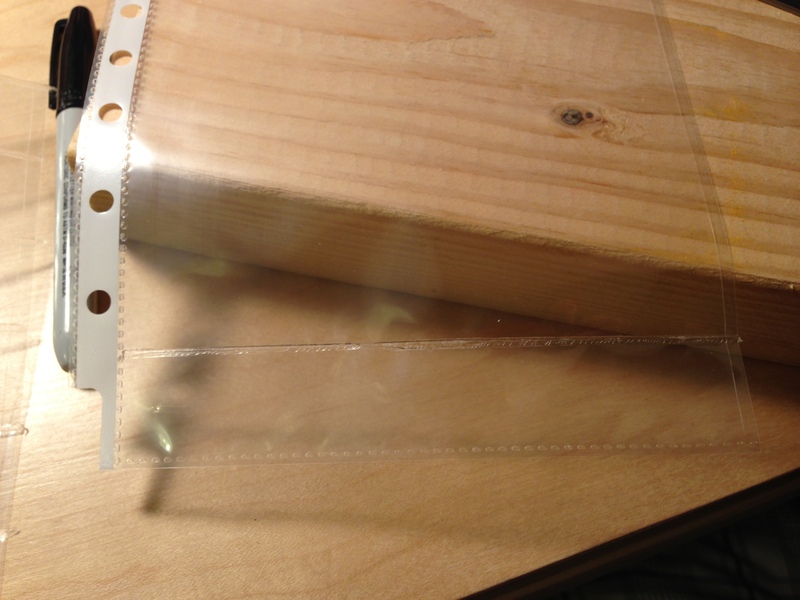 This forms channels with a slit on one end, where the slit on the outside end is inset a bit so that strips reaching the end don’t just fall out, but actually get stopped by the sheet edge. The important setting for the soldering iron is 400 degrees F, with (I used) a 2mm chisel tip. if you drag at the right speed (maybe 10 seconds to complete the line width wise on the page), you won’t melt any plastic fouling up the tip, but the sheets will be sealed together nicely. Seal up lines all the way to the open top of the sheet and you’re done! 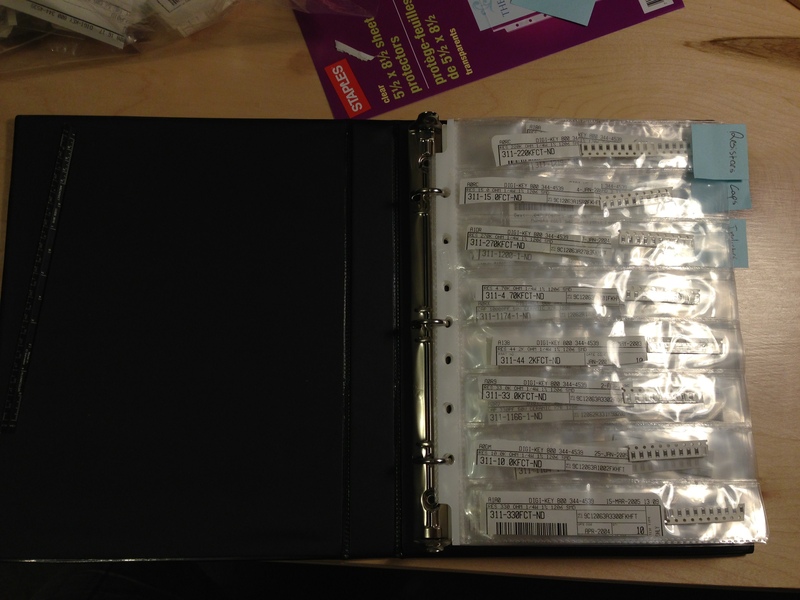 After you’ve sealed up a few pages, well, you’ve got yourself a binder! One idea: after a couple pages, I realized that doing the sealing from the top consistently resulted in the pages getting curved, such that when they’re all put in the binder, they warp and take up more space than they need. You might try flipping the page over for every other line you seal up, so that they don’t consistently warp. See some more images below, and a nice cruddy video taken in portrait of me making a page. AND they’re cheaper. Well hell. Anyway, the tip on 400F moving slow doesn’t light the sheets on fire, so you can do the same thing to reseal static bags. I guess that’s cool, right?